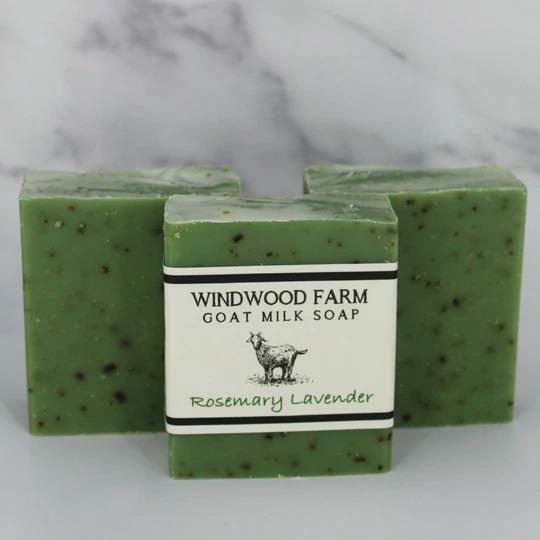 ROSEMARY LAVENDER GOAT MILK SOAP. A robust herbal rosemary and soothing lavender. Includes dried rosemary for gentle exfoliation.